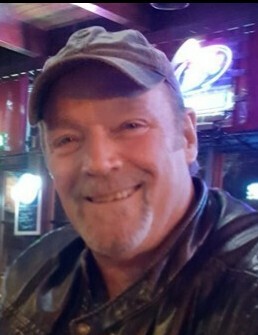 John D. Vitale, 64, of Dana, died unexpectedly on the evening of January 16, 2019. Mass of Christian burial will be 11:00 AM Monday in St. Mary’s Church in Wenona with Franciscian Friars officiating. Burial will be in St. Mary’s Cemetery. Visitation will be in St. Mary’s Church on Sunday from 4 to 7:00 PM and Monday from 10:00 AM until time of services. A rosary will be recited at 3:45 PM. The Hurst Funeral Home in Wenona is assisting his family. John was born in Peru on November 25, 1954 to John and Mickey (Orsinger) Vitale. He owned and operated Little Sorrento Pizza in Wenona for over 31 years. He married Judy Krischel Griswold on July 30, 2008. John enjoyed cars. His favorite sport was Drag Racing. He collected die cast and hot wheel cars. He loved raising birds of all kinds. He adored spending time with his family and also loved to laugh. John was known as Vito and Pizza Man. He is survived by his wife Judy; his parents, John and Mickey Vitale of Peru; children, Renee (Bill) Baum of Varna, Robin (Beau) Hawkins of East Peoria, Jack Vitale of Peru, Misty Vitale of Peoria and Jenna Griswold of Washburn; nine grandchildren and six great-grandchildren; two brothers, Mark (Deb) Vitale of Dalzell and Leonard Vitale of Peru. He was preceded in death by a son John Vitale and two granddaughters in infancy Katelyn Meineers and Ruby Hawkins. Online condolences may be viewed and remembrances shared at www.hurstfuneralhomes.com.